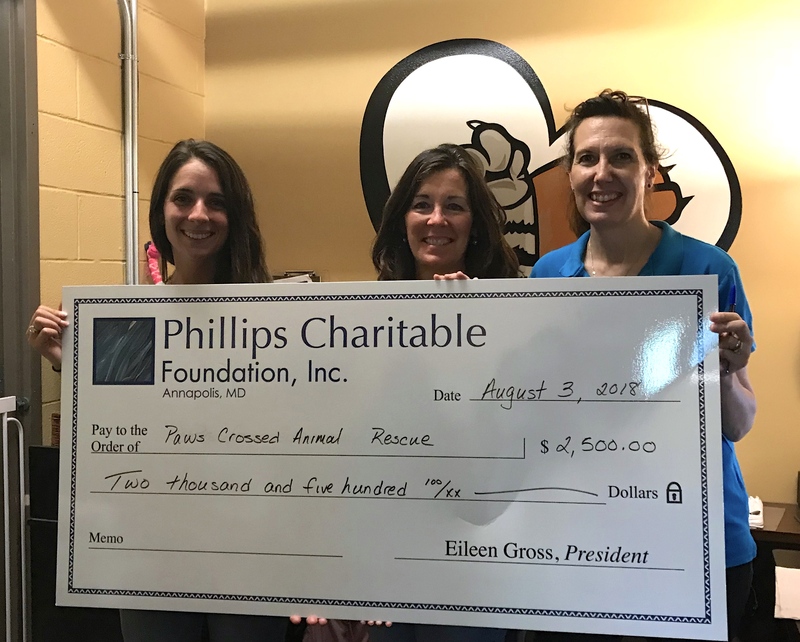 Julie Potter, Business and Development Manager at Paws Crossed, along with Jennifer, then provided a tour of their facilities. It was a wonderful way to see the organization in action. Nestled in an industrial area of Elmsford, Paws Crossed is bustling with action all day long. This no-kill rescue is home to 28 cats, with an additional 10 in foster homes, and 85 dogs, with a capacity of 104, waiting for their forever home. The staff at Paws Crossed are cultivating a relationship with the animals and the neighbors in everything they do, whether it's having children who may feel shy with their peers come to read a book out loud to a dog, or a retired grandmother taking a hike on the nearby trail with another, to the “cat whisperer” who forms a bond with the most troubled feline, they are finding ways to get the community involved. It's that kind of outreach that shows that the founders and staff are on the right track to rebuilding a great place for our four-legged friends; in fact, they have completed over 1,400 pet adoptions since its start! The location is currently going through a transformation. The staff has a vision to reconstruct the site and make it a larger welcoming place for the animals, as well as the visitors who just want to "take a look," but who may leave with a new member of the family. The building, which was built on a former stump-dump site, has some structural damage in parts and is in the process of being repaired and renovated. The renovations will include a beautiful bright lobby, along with visiting rooms, medical rooms, more boarding pens, and a community room, which is a great place for children to learn how to care for a dog or cat and get involved with the organization. Jennifer and Julie were very gracious with their time and were very excited to explain their vision and plans for the future. Jennifer's path to Paws Crossed is just like many of us and how we got to the places we have been in life - one step leads to another and another. She has done a remarkable job with the site and has a heart big enough to fit in all the animals that she can reach. Julie has a great vision on how to market and expand the site and it shows in the connection to the visitors that come by on a daily basis. They work well together and enjoy a friendship outside of work as well. It was great to see the love that everyone at Paws Crossed has for the animals in their care. It is evident in everything they do, including the new Memorial Garden that honors those who have passed away. This garden is lined with bricks engraved with a loved pet’s name as a memorial, or to honor a newly-wed couple and their adopted pet. For more on the history of Paws Crossed and ways you can DONATE, VOLUNTEER or ADOPT, please visit their website at www.pawscrossedny.org and on Facebook at www.facebook.com/pawscrossed.